It claims to do where millions of other products have failed. This product is geared towards rapid weight loss and promises to aid the dieter in not just losing and also maintaining that weight plateau. The official website proudly proclaims that no weight loss journey can begin and continue with success with strong REZOLUTION Fat Burner. The potent combination of ingredients is meant to create a happy and healthy future for all dieters. Marketed as the ‘happy diet pill’, the REZOLUTION Fat Burner which keeps the mood levels elevated while the dieter is steadily losing weight. 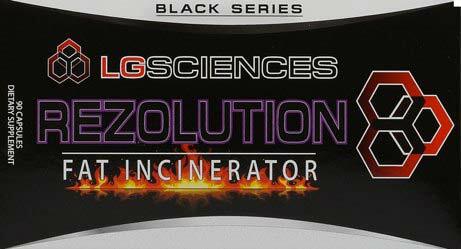 It is a powerful fat incinerator which boosts metabolic levels and curbs appetite effectively. This way it control the calories taken into the body, burns the excess calories as well as the stored body fat. However, the powerful stimulants present in the pill can create too much on a high for most users so caution needs to be exercised, especially for new users. Else, it might leave you too wired up and restless and lead to pill dependency. 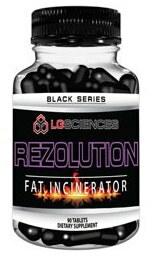 REZOLUTION Fat Burner works by inducing faster thermogenesis in the body. this means that it speeds up the metabolic rate, increases internal body temperature and leads to faster fat burning. In a short time, you will feel leaner, stronger and more energized. The proprietary blend consists of dopamine precursors, energy promoting ingredients and natural herbs which promote weight loss to work on the calories and induce high energy levels. However, the presence of high stimulants often lead to erratic heart rate and hypertension so users who feel these symptoms should get medical advice before taking further pills. More than usual intake of water and fluids is also imperative to balance such high caffeine intake. The Dopamine Complex works as mood elevator which makes the dieter feel happy. Despite losing weight fast they do not feel tired or fatigued. But the danger of taking a mood elevator for long is the dependency. Once you get used too used to happy feeling it can become habit forming. Sudden stop may lead to depression, anxiety or severe withdrawal symptoms. Customer feedback for REZOLUTION Fat Burner is not just mixed but has two extremes. Most of the favorable reviews are either by veteran dieters or more athletic people. Most new users have reported terrible side effects which have left them reeling and wary of dieting altogether. This shows how strong the product is, despite being an effective diet pill it comes with several unwanted side effects which may be too difficult for the average dieter to manage or control. A typically US product with a strong association with GNC and the popular North American stockists. Unlikely to be seen in Holland and Barrett,Boots and Superdrug etc. 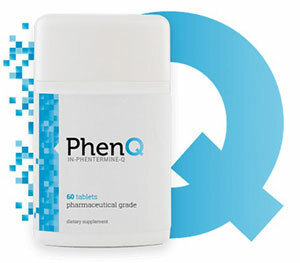 If you are looking for a fat burner that typifies the best of British then have a look at PhenQ. PhenQ has almost carved out an entire niche for itself and has been in existence for around the 3 years.